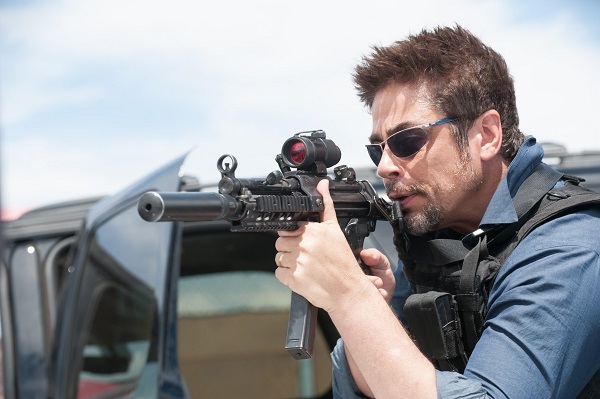 From the opening scene until the film’s harrowing conclusion, Sicario makes one wonder if we have walked into a horror flick rather than a spy thriller. One can’t help but feel an impending sense of doom, that an awful turn of events is about to transpire, in every scene of this gripping film. The deep, thumping, bass-heavy soundtrack over lengthy, panning shots looking directly down on the desert transforms the audience into surveillance satellites. 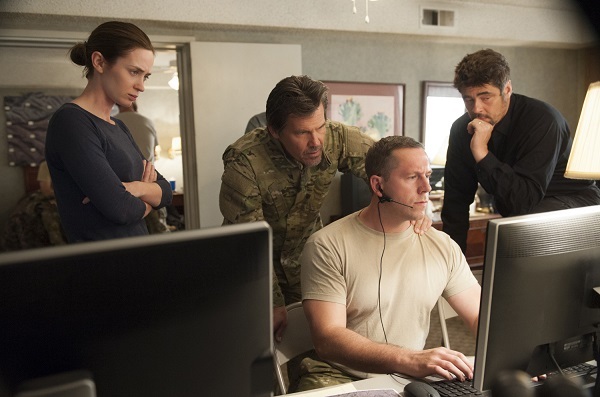 We are watching everything, but powerless to influence anything, leave us as off-balanced as Sicario’s protagonist, Kate Macer. 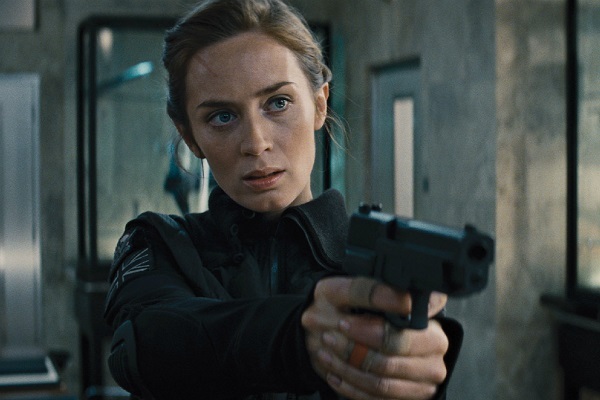 Kate, played skilfully by Emily Blunt, is an idealistic FBI agent, sucked into the shadow world of government sanctioned but morally suspect covert operations. The opening scene is an FBI raid on a suburban Arizona drug house resulting in a violent shootout, a morbid collection of bodies, the detonation of an improvised explosive device and a conclusion from Kate and her partner, Reggie Wayne (Daniel Kaluuya), that they aren’t really achieving anything. One drug route is shut down, another opens. This is a movie about drug violence on the border area between the United States and Mexico, and the multiple fronts fought against that war. The bad guys are really bad. Sneaky tactics are required. The real villains are the cartel heads in Mexico, forever out of reach of conventional policing methods. Because unconventional methods aren’t achieving results via lawful police operations doesn’t mean the U.S. stops there. They have unconventional means of course, presented in the forms of laidback but calculating CIA agent Matt Grave (Josh Brolin) and his hitman of dubious origins, cool customer but nightmare-plagued Alejandro Gillick (Benicio Del Toro). The two men have a plan, the details of which they are not sharing. All we know is they need Kate and Reggie to see it through. Lots of cross-border action follows. Plenty of violence, corpses hung mutilated and naked as warnings, tattooed skinhead freaks with excessing amounts of firearms, and shootouts that really show who is in control: the CIA backed by Special Forces. Kate and Reggie becomes mere spectators. Kate as the senior FBI agent argues thier cause, questions the CIA, but when no one will tell her what is transpiring, or listen to her, even her determined idealism and moral stance can’t change the outcomes. Even then, it takes Reggie to ask the difficult questions, and as a man, Grave and Alenjandro give answers. Sexism it seems is still rampant within the CIA. This is a powerful film. Realistic action, high tension scenes and brutal executions neatly packaged in the thriller narrative. As the mystery unfolds everyone comes to understand that to defeat a ruthless enemy requires equal portions of ruthlessness to strike back. Director Denis Villeneuve and writer Taylor Sheridan have shown that they are world class movie makers. I hope to see plenty more from both of them.